Since our humble beginnings in December 2003, Joyful Rescues has grown into a 501(c)(3) non-profit corporate team of volunteer animal lovers reaching out to help homeless dogs, puppies, cats and kittens in need of love, affection and forever homes. We are a no-kill shelter – meaning we never euthanize for space. turned their lives and home upside down in forming Joyful Rescues. play, gaze out the windows and lounge wherever they choose. Joyful Rescues Board of Directors is not paid. Due to our rapid growth we have added paid staff to help with cleaning, clerical duties and pet care. Our pets get the best care & treatment we can give here at Joyful Rescues- not to mention tons of love & attention. This truly is a labor of love for all involved. Joyful Rescues has been more successful than we could have hoped. 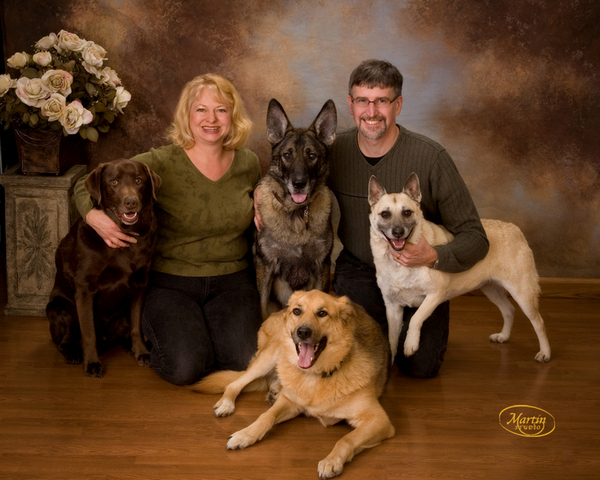 We show pets almost every weekend in various locations throughout Olean, Buffalo & Rochester areas. We've had many successful adoptions with people traveling from all over NY, PA, the East Coast and even as far away as Las Vegas to find the new love (and sometimes loves) of their lives. Past adopters are invited back for our Rescue Reunion each August (see PetFest under Events). As space allows, we take in relinquished, uncared for, in danger, puppy mill and/or unwanted pets as well as unexpected litters. We do not agree with the discarding of pets for most any reason but we do want these pets to have the best life possible. They cannot do this in a home where they are unwanted. They will be tied outside as lawn ornaments, dumped off somewhere or worse. The pets we take in are for the most part healthy and non-aggressive. We will not take in or adopt out a pet that is aggressive and a potential danger. Upon arrival all animals visit accredited vets for a basic check-up. We are a shelter partner and strictly feed Hills Science Diet pet foods to be sure they are getting the nutrition they so need. If you are faced with the unfortunate decision of having to surrender a pet or were hit with an unexpected litter, please call us. We will do our best to help find a wonderful home for your furry friends. THERE IS NO FEE TO SURRENDER A PET but a donation to help us care for the animals would be appreciated. We do require that the parents of incoming litters be spayed/neutered if accessible. Joyful Rescues can occasionally assist with the surgery if there is a clear financial need. We do reserve the right to refuse pets for any reason. We will NOT pay for any pet, including those we get from puppy mills, no matter what the breed or circumstance. We DO NOT support breeding in any way. Please click link below for our Form 990.